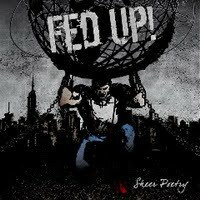 The New Full Length from Fed Up! brings 12 tracks of full blown in your face NYHC. A patriotic streetwise fun fueled masterpiece. Filled with catchy sing a longs, awesome breakdowns & great mosh parts. Their best release to date! This is a 8-Pannel Layout CD with lyrics and plenty of pictures. For fans of Agnostic Front, Murphy's Law, Cro-Mags, YDL, Warzone, The Abused, Breakdown, Sick Of It All, Antidote, Bad Brains ect. Get your copy here.